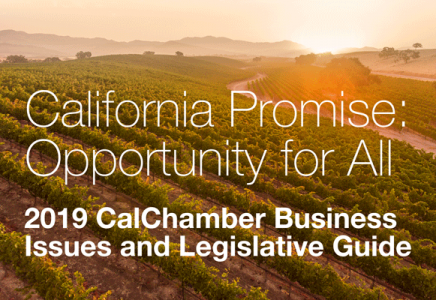 So far, the California Chamber of Commerce has taken positions on six of the 12 propositions that will appear on the November ballot. Below is a recap of those positions. Other measures will be considered when the CalChamber Board meets in September. This $8.877 billion state general obligation bond sponsored by Gerald Meral, director of the Natural Heritage Institute, would finance various infrastructure projects and improvements to water safety and quality, watershed and fisheries, habitat protection programs, water conveyance, groundwater sustainability and storage, and surface water storage and dam repairs. Sponsored by the California Association of Realtors, the People’s Initiative to Protect Proposition 13 Savings allows homeowners over age 55 to transfer their property tax basis to a replacement residence anywhere in the state. The proposition will repeal the CalChamber-supported transportation taxes adopted by the Legislature in 2017 (SB 1), including higher gasoline and diesel excise taxes, a new tax on vehicles and a new tax on zero-emission vehicles. Passage of Proposition 6 will reduce spending on state and local transportation projects by nearly $5 billion a year, eliminating funds already flowing to cities and counties to fix potholes, make safety improvements, ease traffic congestion, upgrade bridges and improve public transportation. The United Healthcare Workers is the sponsor of this attempt to set price controls for privately operated kidney dialysis treatment. The measure is intended to create leverage on dialysis clinics to unionize their staff. Its passage will increase costs by shifting dialysis treatments from clinics to more expensive venues, such as emergency rooms or hospitals. Divides California into three new states: Northern California (40 northern and rural counties anchored by the San Francisco Bay Area); California (six central coast counties, including Los Angeles); and Southern California (the 12 remaining southern and San Joaquin Valley counties). Congress would have to approve the formation of the three new states. Misnamed by its tenant advocate supporters as the “Affordable Housing Act,” the measure proposes to repeal the Costa-Hawkins Rental Housing Act of 1995, which placed limits on locally enacted rent control laws. The measure is sponsored by the president of the Los Angeles AIDS Healthcare Foundation. Proposition 1: $4 billion veterans and affordable housing bond act. Proposition 2: Asks voters to ratify the use of revenues being generated by the so-called millionaire’s tax approved in 2004 for county mental health programs for permanent housing for the homeless in advance of a $2 billion bond for that purpose. 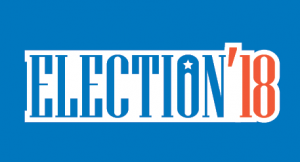 Proposition 4: $1.5 billion bond for construction, expansion and renovation of children’s hospitals. Proposition 7: Authorizes Legislature to approve year-round daylight saving time by a two-thirds vote if federal government allows. Proposition 11: Requires on-call meal and rest breaks for private sector ambulance employees. Proposition 12: Sets new minimum space requirements for veal calves, breeding pigs and egg-laying hens, including cage-free environment for egg-laying hens starting January 1, 2022. Forbids knowing sale of veal, pork or eggs derived from animals not confined in accordance with the requirements.